The Patriotic Front regime has quitely changed the Public Private Partnership Act without tabling the amendments in Parliament. 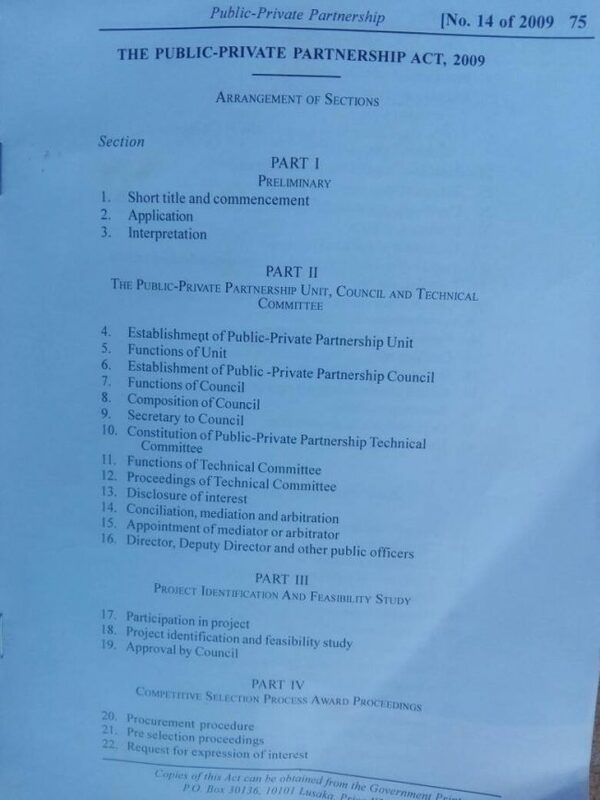 Meanwhile, the PF regime has been breaching the PPP Act by not subjecting unsolicited bids to public advertisement. According to a Ministry of Justice source, the PF through Attorney General Likando Kalaluka have altered the PPP Act tenure of Lease from 25 years to 50 years. In short this means that any investor who develops a government land will only hand over the said property to government after 50 years. The source said the first beneficiary of this move is Graduare Properties the owners of East Park Mall. This means that the University of Zambia will only be handed back the property after 50 years. The PPP Act stipulates that any developer should hand over the state property after 25 years. Meanwhile, the PF government has been breaching the PPP Act by not subjecting unsolicited bids to public tender. 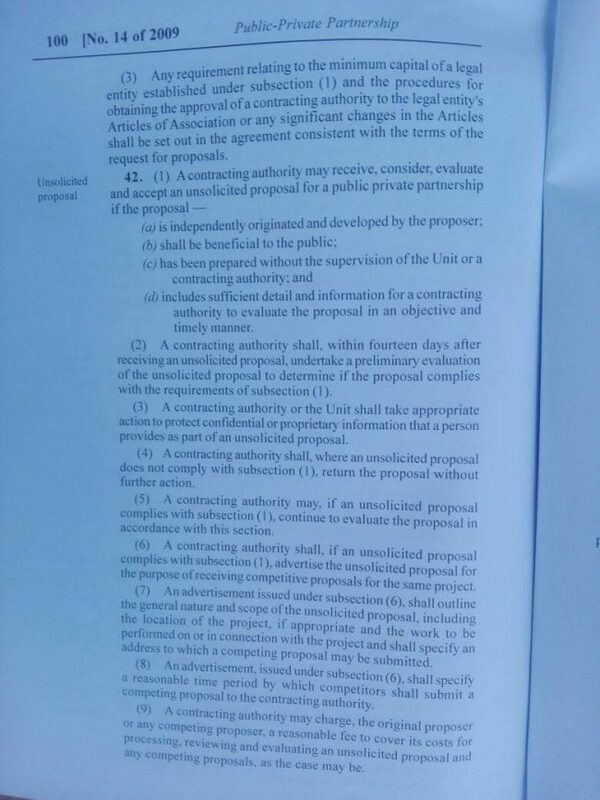 According to the PPP Act on Page 100, all unsolicited bids like the one for AVIC Intetnational on Natural Resources Development College (NRDC) are supposed to be advertised and if another bidder offers a better deal beneficial to the Public, that bidder is supposed to be awarded the contract. See the attached PPP Act.